How to configure the action reminder email? 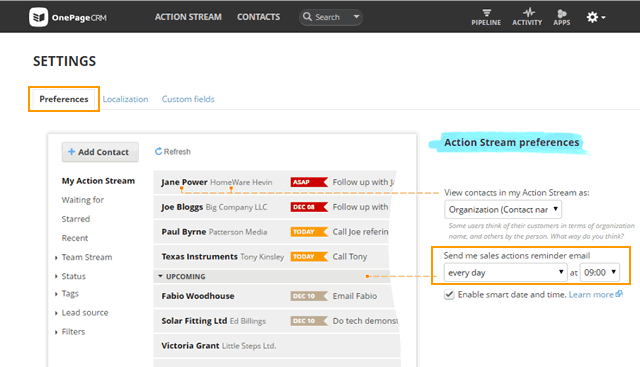 In your OnePageCRM account, you can set your preferences to receive a daily sales action email straight to your inbox. Go to Gear icon → Settings. Your chosen settings will save automatically.